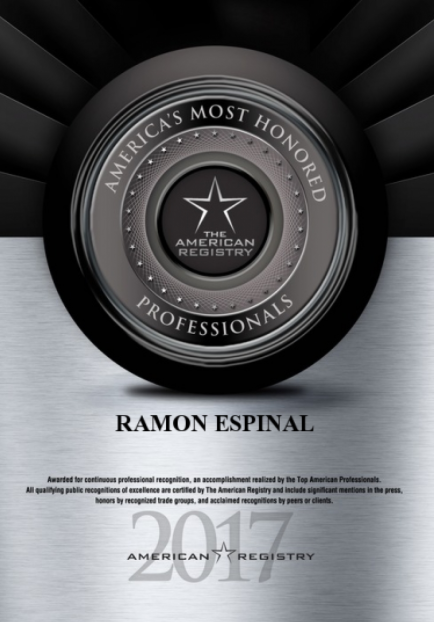 Congratulations to Alliance Spine and Pain Centers’ Ramon Espinal, MD, recognized as one of America’s Most Honored Professionals in 2017. 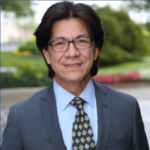 The award was presented by the American Registry to recognize Dr. Espinal’s continuous individual achievements in the medical field. “America’s Most Honored” is a recognition program created by American Registry. American Registry has partnered with a wide variety of organizations known for their effectiveness at recognizing excellence in businesses and professionals. These organizations go through extensive research to gather peer review ratings, client reviews, and results of industry analyses, to uncover the best businesses and professionals in North America.